Right from its foundation, the École biblique understood that archaeology must be the moderator of the modern exegesis which it wanted to promote. Biblical exegesis was nearly always and everywhere done in libraries, in the disciplines of textual hermeneutics. In our day, to understand the text it is not enough merely to read it. If the Bible is a literary document, we know that its ancient authors had a different worldview from ours, and its meaning depends on that. Exegesis must account for the reformulation of ancient anthropologies of the lands of the Bible in an interdisciplinary project. Fertile study of the Bible nowadays requires knowledge of ancient languages, epigraphy, iconography, history, and archaeology. The so-called hard sciences are a secondary help. 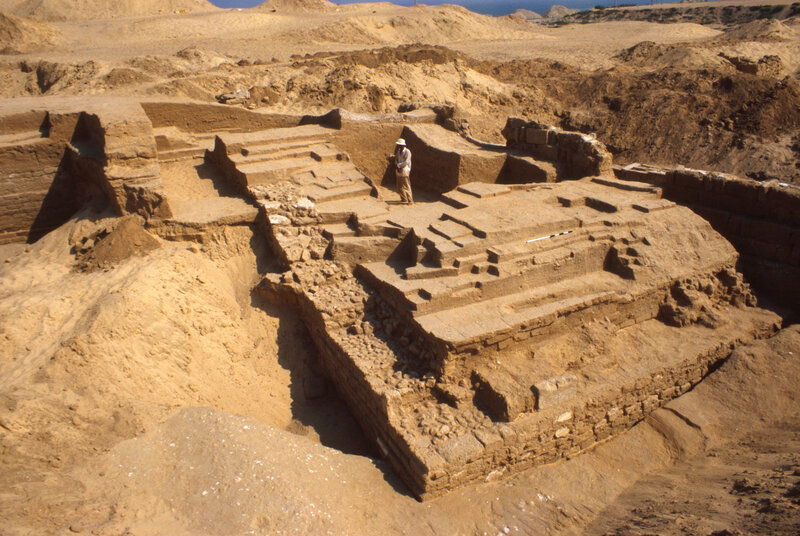 Archaeology at the Ecole is a basic constituent of the exegetical method, firmly distinguishing itself from a confessional ‘biblical archaeology’ whose stated aim is to provide material proofs of the historical truth of the Bible. From its beginnings, the École has practised archaeology as strictly scientific and first-hand: doing excavations brings institutions prestige and a first-class reputation, but the ultimate goal is not so much about achieving results as about the need to criticise methods and to understand how interpretations have been made and why they evolve. Without this, there can be no clear insight into the texts. 1) Aegean influences on Palestine during Iron Age I. 2) The Aramaean migration into northern Transjordan during Iron Age II. 3) Christianisation and Islamisation in the Province of Arabia. Excavation projects alternate with periods of research, in which expert teams are brought together according to defined subjects. These are international teams, in which experienced researchers work alongside doctoral candidates and other advanced students. The scholars supported by the Académie des Inscriptions et Belles-Lettres usually extend their stay to complete work on a specific topic. The École, however, takes on the publication of the results of works undertaken, and aims to produce editions of quality. The abundance and variety of publishing potential is an outstanding magnet for researchers of all kinds.